The public rarely hears about interactions between military personnel and unexplained aircraft — especially during wartime. 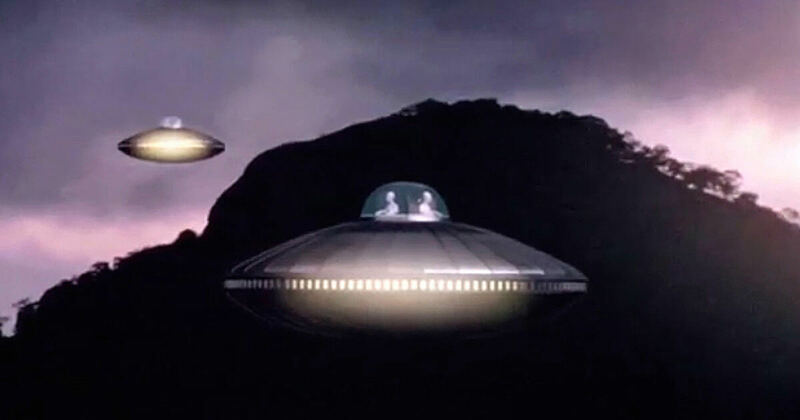 Wartime UFO stories are recreated in the premiere episode of the second season of History’s “Hangar 1: The UFO Files.” The accounts are drawn from tens of thousands of UFO cases in the archives of the Mutual UFO Network, the world’s largest UFO investigation group. “The military was interested in [UFOs] because they had capabilities far above anything that we had, and they wanted to find out what the technology was and, frankly, who they belonged to,” according to former Air Force intelligence officer, Capt. George Filer. While in Vietnam, Filer — who had a top secret clearance — gave daily briefings to Gen. George S. Brown, deputy commander for air operations in Vietnam. “You’d have an aircraft flying along, doing around 500 knots and a UFO comes alongside and does some barrel rolls around the aircraft and then flies off at three times the speed of one of the fastest jets we have in the Air Force. So, obviously, it has a technology far in advance of anything we have. I don’t know whether this story has ever been told or not. They weren’t called UFOs. The were called enemy helicopters. And they were only seen at night and they were only seen in certain places. They were seen up around the DMZ in the early summer of ’68. And this resulted in quite a little battle.And in the course of this, an Australian destroyer took a hit and we never found any enemy, we only found ourselves when this had all been sorted out. And this caused some shooting there, and there was no enemy at all involved, but we always reacted. Always after dark, the same thing happened up at Pleiku at the Highlands in ’69. Filer — who documents his sightings and other UFO news at the National UFO Center site — was one of several military eyewitnesses to something extraordinary in the sky over England. It was 1962, and he was the navigator on a refueling tanker. Filer (pictured above) recalled how his radar scope indicated the UFO was as big as the huge Firth of Forth Bridge in Scotland that he and his crew often used as a regular navigation point. “The ‘thing’ was at 1,000 feet and we were descending from 32,000 feet. We picked up this huge radar return while we were still about 30 miles out. It was dark out and when we got much closer to the object, we saw lights around it, outlining the shape of a cylinder, like a cruise ship. It then just quickly rose and went up into space. Upcoming episodes of “Hangar 1” over the next 12 weeks will focus on folks who’ve held military positions and are willing to come forward and tell their stories. One of those (hold onto your hats) is a man who claims he was in the Marines (wait for it…) and that he was stationed on Mars for several years. That’s right: the red planet Mars. He’ll describe being part of an off-planet military force. Let’s not pass judgment…yet. There’s also the story of a retired Army sergeant who says he was assigned to UFO crash and retrieval cases where both ships and ET bodies were supposedly recovered — some dead, some alive. In case you were wondering, Hangar 1 is an actual hangar where MUFON, for a long time, stored all of its archives. At one point, all of the organization’s files were housed in this airport hangar somewhere in the middle of the country. The images of Hangar 1 that appear in the series are of the real hangar. “Hangar 1: The UFO Files” is on the History channel on Friday nights. Check your local listings for exact times.